Retro portfolio for storage or under arm toting. Heavy kraft paper reinforced with linen. 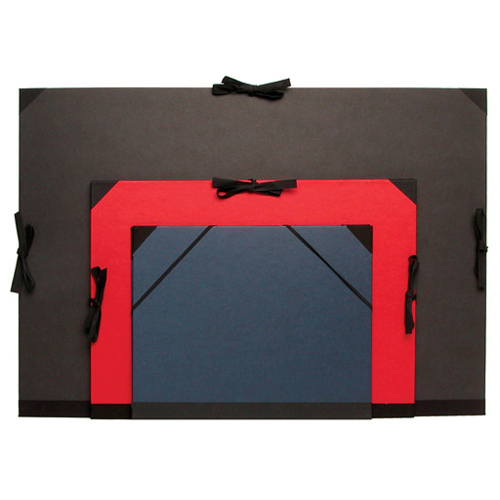 Black paper lining with ties and flaps. Black, Red and Blue.